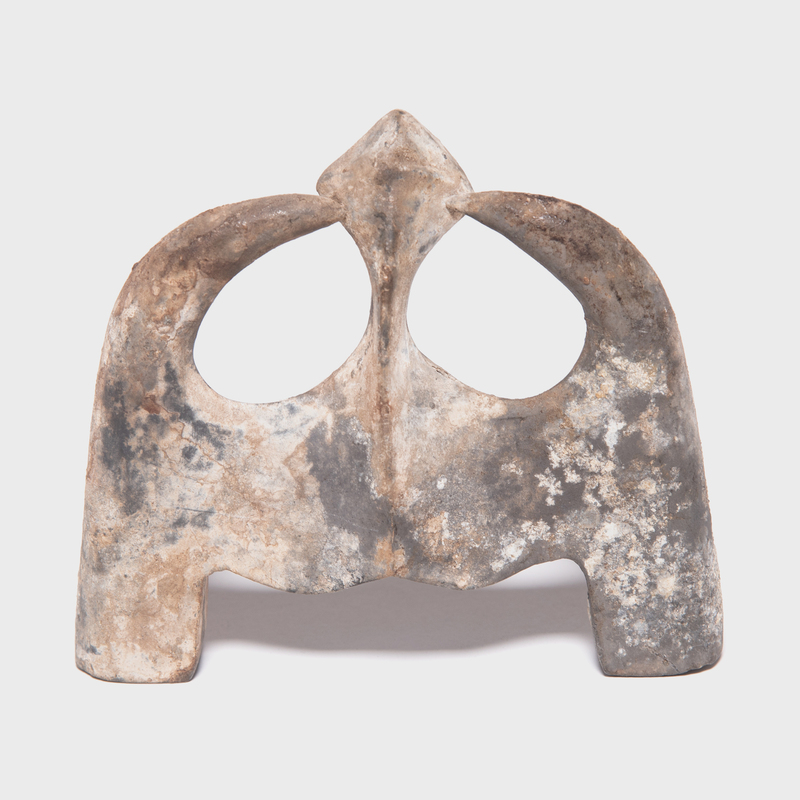 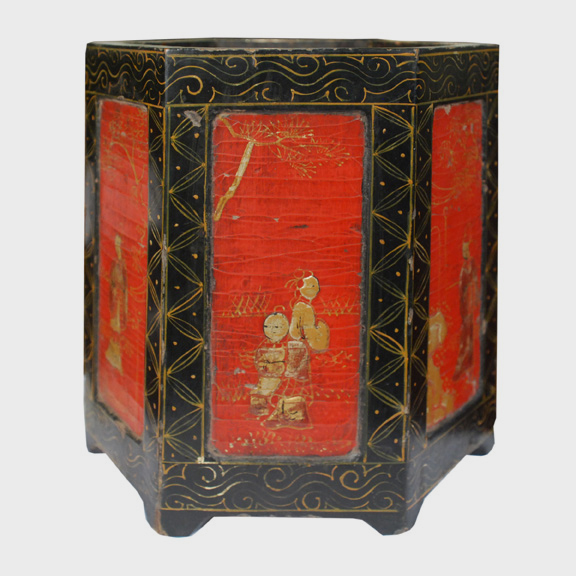 This 19th-century lantern once hung from a small boat, illuminating the waters for nighttime fishing. 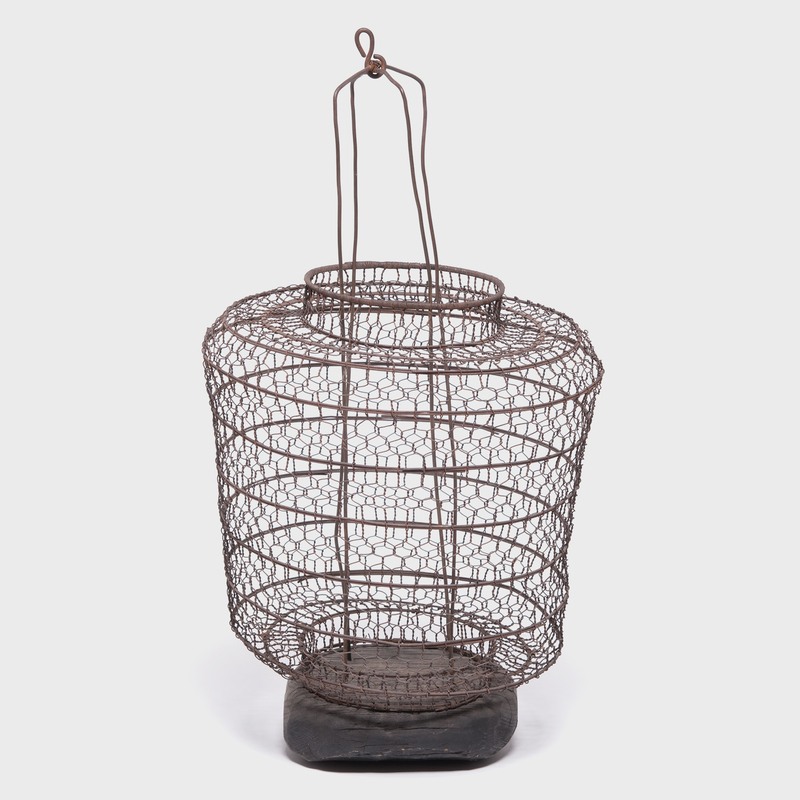 Handwoven from iron wire, the lantern has a lacy, open pattern and may have been lined with fabric or paper to provide protection from wind. 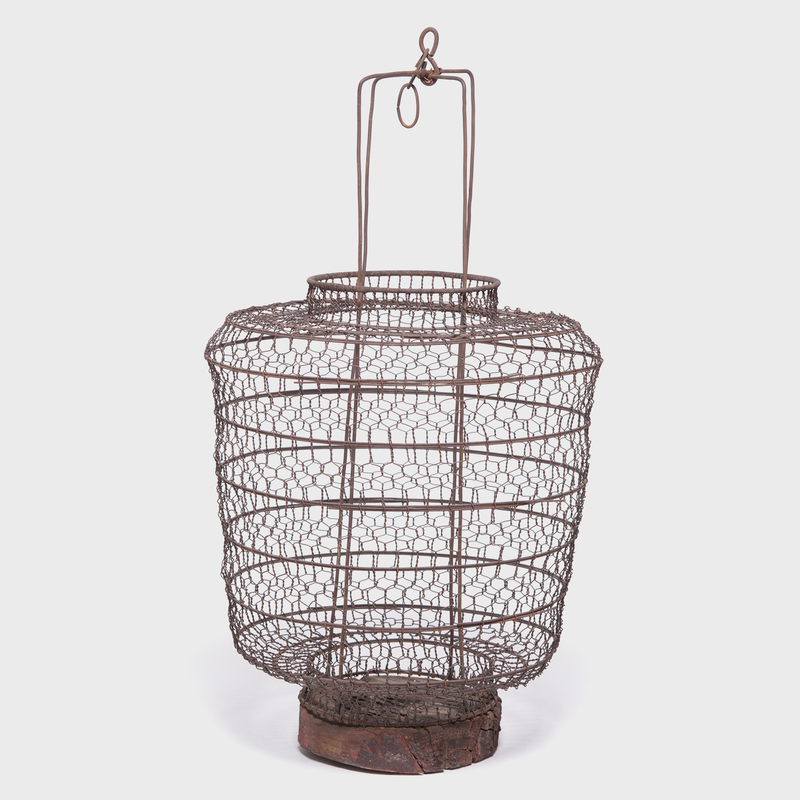 Whether filled with lights or suspended as a pendant, this intricate lantern is a captivating addition to any room, casting delicate shadows when lit from within.